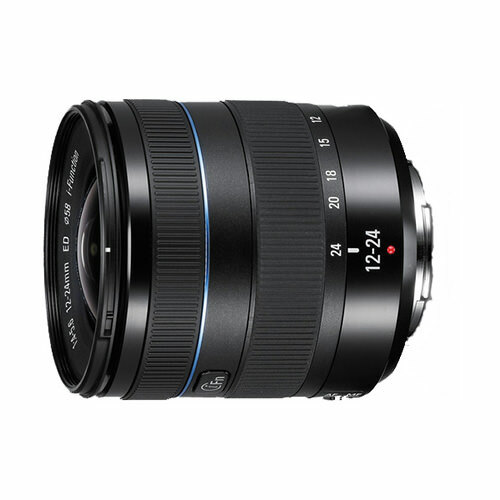 Lens Description: The 12-24mm f/4-5.6 ED Wide-Angle Zoom Lens from Samsung is an ultra wide-angle zoom lens for the Samsung NX line of cameras. Its 35mm format equivalent focal length is 18.5-37mm and its angle of view runs from 99º to 60.7º which puts it entirely in the wide-angle category. Two aspherical elements and one Extra-low Dispersion element reduce aberrations and provide sharp, color-accurate images.